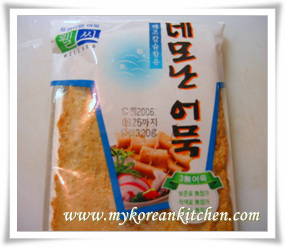 Above Korean fish cake (Eomuk, 어묵 or Odeng, 오뎅) is what I often use in my fish cake stir fry and some times in my fish cake soup. Other shapes (e.g. round balls, long thin stick or square etc.) are also available as well. You can normally find it in the freezer section of a Korean grocery store (if you’re outside of Korea). In Korea, it’s kept in a refrigerator section. This 1 kg (2.2 pounds) fish cake costs about AUD $9. What it is made of and how it is made? 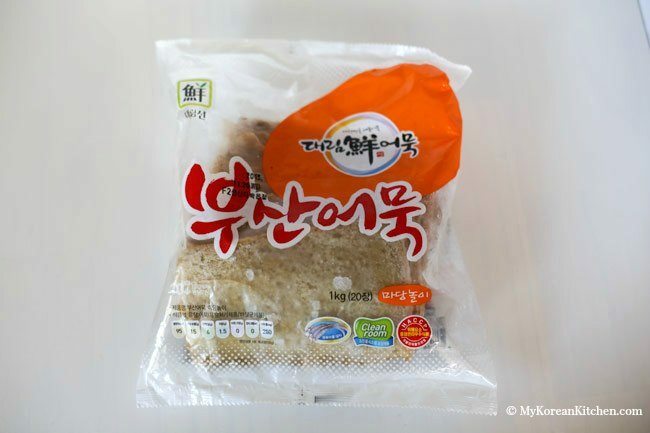 Typically more than 50% of the ingredient is Surimi then followed by wheat flour (30%), carrots, onion, salt, sugar and other added ingredients. Once these ingredients are mixed together, they are kneaded, shaped then boiled or steamed or fried. Do you want to make this yourself from scratch? Then try my recipes. You have two options. One for fish cake side dish and one for fish cake soup. It’s very easy to make and tastes healthier! I live in s town that sadly does not have a KOrean grocery. Is there an on line store where I can order the fish cakes? I have looked in amazon. And had no luck. 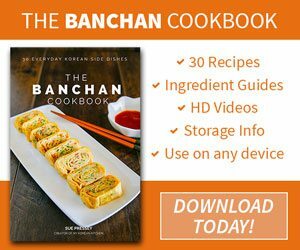 I just have a quick question about traditional Korean fish cake. I’ve looked everywhere online and can’t seem to find anywhere if this food is considered healthy or unhealthy. I’m currently dieting right now and was wondering if I could let fish cakes into my diet or leave it out. Anyways, please if you get a chance to read this, let me know what you think! I hope you can help me with my quest. I absolutely love Nongshim Hot and Spicy Noodle Bowls! For health reasons, I have had to lay off of them because of the sodium and fat. I am trying to make my own homemade healthier version. One of the noodle bowl ingredients is “dried fish cake”, that yummy pink and white morsel. Do you know where I can buy this ingredient online? 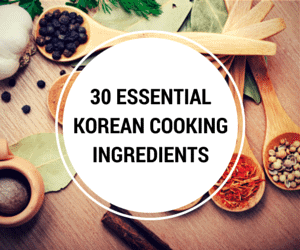 I might be able to work with most of the other ingredients, but even then, if someone has a recipe that comes close to the Nongshim Hot and Spicy, that would be better and definitely save me a lot of guesswork. Can you please tell me where in the market is fish cake found? In the refrigerator section or on the shelf with dry goods? Thanks! In Korea, it’s in the fridge section. In other countries, at least in Australia, it’s in the freezer section because it’s imported from Korea. 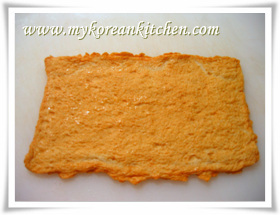 i want to ask, what kind of flour used to make own odeng..
is it rice flour, all purpose or else? Nay, I really don’t know as I’ve never made it myself but I would think it’s all purpose flour. Just my guess. Yes Maddie, You should definitely find it from a Korean grocery store and maybe also at a asian grocery store. i found a fish cake that is round and thick..can that be OK ?.do you think it would taste the same with the flat and thin one?? Yes, that should taste the same. DO u know any korean groceries herE? please..i want to try this one so bad..please contact me..
sa tingin ko pareho lng ang fish cake na yan sa nabibiling fish strips ung mukhang dried sa sm meron,,yung ready to eat na.,tingin ko lng kasi naghahanap din ako nyan. Where can I find this flat fish cake? I live in Northern California and I’ve been looking around, but haven’t been able to find them. Usually the oriental grocery stores only carry the thick kinds, but they aren’t as good. Jen, check this recipe out. Can anyone help with my question about the fish cake? I see it served as a side dish. My son loves it. What is the sauce that it is cooked in? Marian, Eomuk and odeng means the same thing, fish cake. Eomuk is Korean and odeng is Koreanized Japanese. question, what is the difference between eomuk and odeng? eomuk is the fish cake itself, while odeng is with soup? is that right to say? Odeng is Japanese and eomuk is Korean. I couldn’t find an image of dilis on the internet so I don’t know what to expect. If it looks similar to dried anchovies how about you try them anyway? If you can’t get anchovies that might be the only option you have. The anchovies give the broth its deep fish taste, so another similar fish may be ok.
Hi! i’ve been looking for authentic recipe for odeng or fish cake soup for a long time. I am from the philippines but i have some koreans friends that introduce me to this dish. I wanted to surprice them by making one at home so that i can make this for them once they come and visit my house. Is there any other substitute for the anchovies? becuase here in the philippines we have something simmilar we call it “dilis” would that be ok to use. 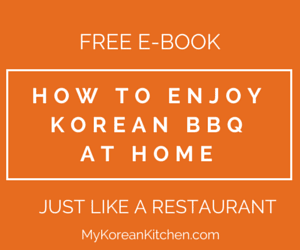 Please give me more ideas on korean and japanese dishes that are easy to cook. thank you looking forward to your help.